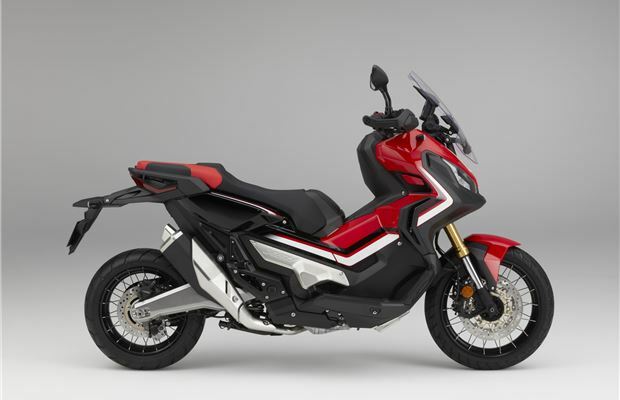 The Honda X-ADV is pitched as an adventure scooter and you’ll need to be of an adventurous nature to consider this left-field choice. 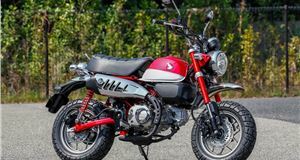 It’s an unusual mash-up of full-size go-anywhere BMW GS-style bike but with a feet-forward riding position. Other oddities about the design of the X-ADV are its DCT twin-clutch six-speed gearbox. This lets you ride the Honda without ever having to bother changing gear yourself or you can opt to take control with the up and down shifters on the left-hand bar. For anyone used to a motorcycle with a clutch lever, this is a little strange at first but you soon get used to whizzing up and down the ’box. Honda provides two modes for the gear shifts. The first is the standard Drive setting that’s ideal for mooching through town with the minimum of fuss and effort on your part. Choose Sport and the engine hangs on to the revs for a little longer and changes are crisper, so it’s designed more for use on back roads where you need that greater finesse. 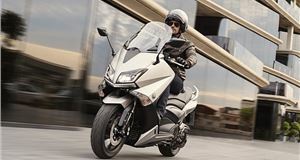 What you will also notice is the X-ADV has a chain drive like a standard motorcycle’s, so you get some engine braking when you ease off the throttle. Powering all of this is a 745cc parallel twin engine borrowed from the NC model. That’s a good thing in our book as it’s a solid, smoother performer that gets on with the job whatever’s asked of it. It gets a little buzzy towards the red line, but acceleration is brisk enough to make the X-ADV fun and there’s just about low-end shove for it to back up the off-road style of the bike. Could you use the X-ADV off the beaten track? A little and certainly more than you would on any other maxi-scooter. There’s good ground clearance, but the long wheelbase means sharper ridges could catch the underside of the frame with expensive consequences. Better to think of the X-ADV as a bike to have adventures on rather than be too adventurous with the terrain you ride on. The 17-inch front and 15-inch rear tyres supply all the grip you need for commuting, heading down country lanes and dusting up roundabouts. There’s lots of confidence in the way the Honda’s chassis deals with bumps and it’s a much plusher ride than most maxi-scooters. As you’d expect for a scooter costing the thick end of ten grand, the X-ADV comes with ABS anti-lock brakes. Also helping to justify that price is Honda’s Smart Key ignition system which seems to work more easily with this bike than others we’ve tried it on. Perhaps this is familiarity beginning to kick in, but it suits the X-ADV’s techy, oddball nature too. That impression of a bike designed without preconceptions follows through the dash, which looks like one of the sat-nav devices found on Dakar racers. The digital display is easy to read in daylight and not so bright that it distracts at night. 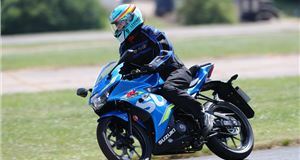 All of the vital information is there to read and you also have a gear indicator, which is needed here to remind you when the bike is parked to select the handbrake lever tucked down in the right-hand fairing panel. This is needed as the DCT gearbox cannot be left in gear to prevent the Honda rolling away. 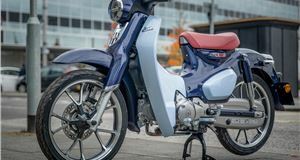 The feet-forward riding position is common to maxi-scooters and works well on this Honda, especially with the large and adjustable screen to keep wind blast at bay. However, it’s a shame the seat cushion is not more thickly padded and better shaped as all your weight is carried on your lower spine. It’s okay for a couple of hours but after that we needed a halt to let the blood flow back to our rear end. It’s the same for the pillion, who gets a decent seat but two hours is the maximum limit before a rest stop is needed. Still, the passenger gets neat fold-down foot pegs and if you go for the optional top box they have something to lean against. Underneath the seat is storage big enough to swallow a full-face helmet, but you’ll need that top box if your passenger wants to stash their’s away too. 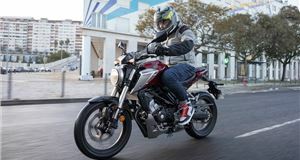 These concerns won’t worry anyone coming to the X-ADV from a motorcycle, but max-scooter users might find them disappointing when they’ve been used the practicalities offered by the likes of the Piaggio MP3 500. We wouldn’t let it put us off the Honda as it rewards with a ride that’s more engaging than its nearest rivals. It may not be as nimble around town as more traditional scooters, but for longer distance commuting and weekend fun, the X-ADV is hard to beat. Top speed 110mph (est). Fuel consumption 78.1mpg. VED £85.